Whenever we go on a walk around our neighborhood, we make fun of this really tacky looking car. It is a Mini Cooper that has those huge fake eyelashes on the headlights. We try to imagine what type of person drives this car. Is it a girl in her 20’s who is reallllly into makeup, so she wants it to look like her car is wearing makeup? Is it a super fabulous gay man who I need to be best friends with right away? This car is parked in the same spot on the street at any given time of day. I swear it has never moved! It’s there in the middle of the day, and late at night. Which made me think this is a rich, spoiled girl who has no responsibilities. We have yet to spot the owner of this car. Until Shawn did and called me right away and left me the funniest voicemail I have ever received! After hearing that voicemail at work, I was cracking up! I am never deleting that voicemail. So Shawn. He sounded like he had just seen a unicorn. Finally, the identity of the driver is solved. Another thing that is as rare as spotting a unicorn is me cooking a meat for dinner that isn’t chicken or fish. If you take a look thru my recipe archives, you’ll see a lot of chicken recipes, and a lot of fish recipes. In an attempt to mix up our meal proteins more, I’ve started cooking pork. For the first time ever, I cooked a pork tenderloin for dinner a couple of weeks ago. So delicious! Like glazed ham, pork tenderloin is all about the glaze crust. I created this rosemary honey mustard glaze that tastes delicious on the pork. After searing it in the pan to get a nice golden crust, I smother the pork tenderloin in the rosemary honey mustard sauce and finish it by roasting in the oven. It comes out perfectly cooked with a flavorful crust on the outside. To keep it extra moist, I make a quick pan sauce with white wine and the rosemary honey mustard glaze, with a splash of apple cider vinegar for tang. 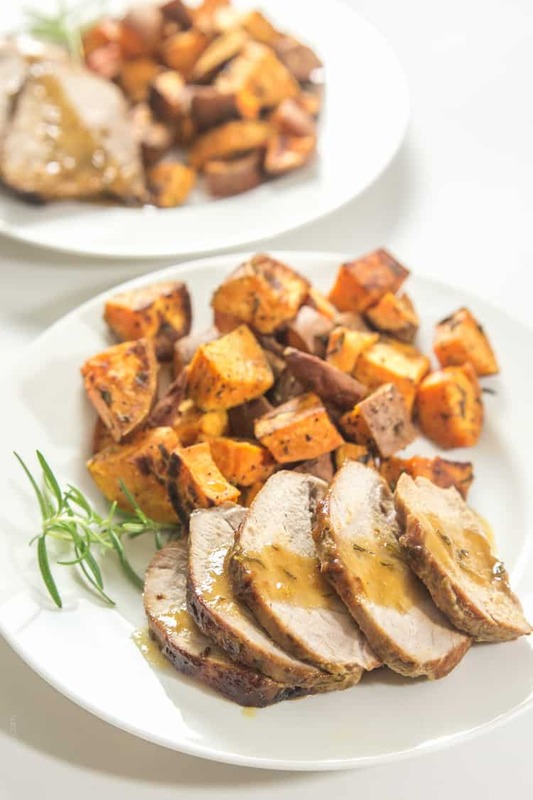 And of course you must serve this rosemary honey mustard pork tenderloin with my rosemary roasted sweet potatoes! It is a match made in flavor heaven. Slice the pork loin into 1/2″ thick slices, and top with the pan sauce. 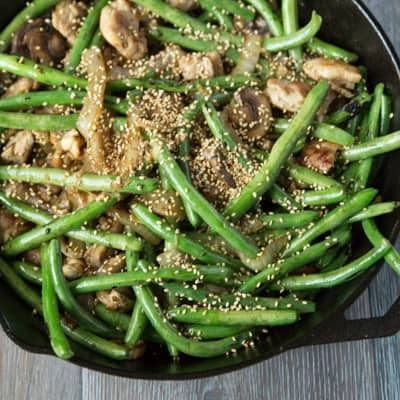 Pork Chops with Vanilla Apples & Shallots Chicken and Mushroom Fricassee Green Bean Stir Fry with Chicken and Sesame SeedsThis post contains affiliate links, thanks for the love! Haha wow! I really wish I would’ve seen that car! And to know that it’s a 60 year old lady driving it…go figure! This pork tenderloin looks fantastic, Natalie! It looks like it’s seared to perfection. I love the rosemary and honey combo! 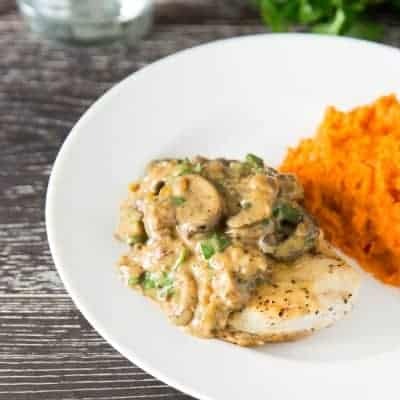 So flavor and looks perfect for this dish! Nat, I love this recipe because I am a huge fan of rosemary honey mustard glaze and wish I had it right now for lunch! This looks heavenly. I need to try these ASAP!!! I love that the mystery was solved! I really need to switch up my meats too. Chicken, Salmon, and ground beef are my go-to’s but this pork sounds like a nice change of pace. The glaze is fantastic on it, love that the honey adds such a beautiful sheen. And I love that its paired with my fav- sweet potatoes! Fantastic healthy and satisfying meal! I always struggle to find recipes for pork, I have had a loin in my freezer for aaaages, now I feel inspired! Love the idea of a rosemary honey mustard glaze! 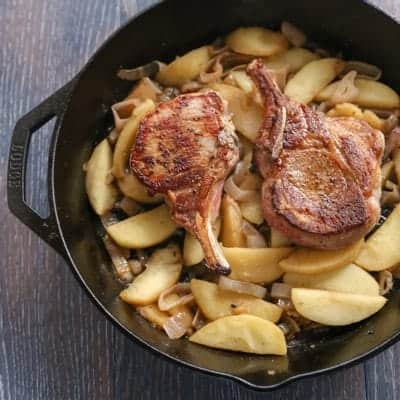 I don’t eat pork that often but I would be willing to change that for this amazing recipe! I really need to cook pork more. 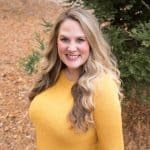 I feel like it’s the forgotten meat in my house – I only have a few times a year. This recipe looks amazing! Oh, and I’m cracking up at Shawn’s voicemail – Kyle and I always try and guess the driver when we spot a funny car. I love that he said she looks like she works at the DMV! So funny. That’s hilarious! That seriously must have been the best voicemail ever. Another thing that might be the best thing ever? This pork. It looks downright amazing! Haha that is the cutest! I never would have guessed the driver would be a 60 year old woman. 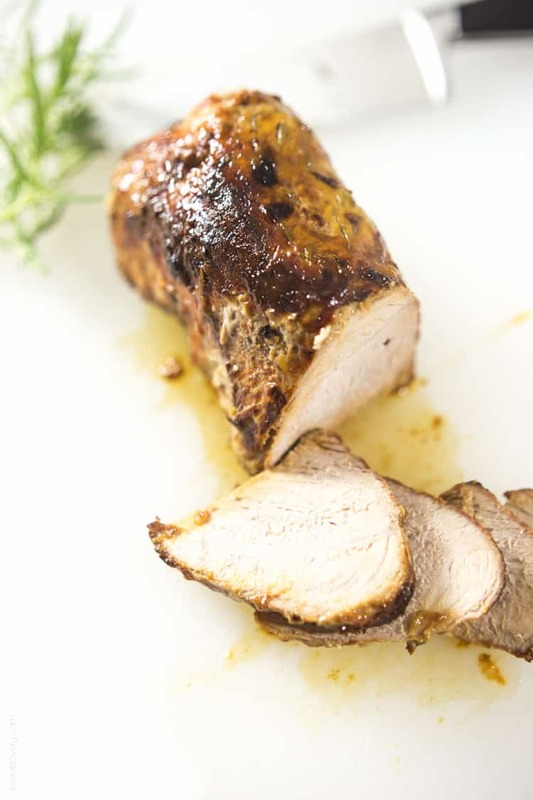 This pork tenderloin looks so flavorful and tender! Love the rosemary honey mustard glaze! Natalie, you’ve got me cracking up! I love your story telling! OMG! That’s awesome that it was a 60 year old lady driving that car! I love it. I am also really digging this honey mustard pork loin! I think it would be fantastic with your rosemary sweet potatoes. What time is dinner? I can bring some beer and wine! Ha ha ha! 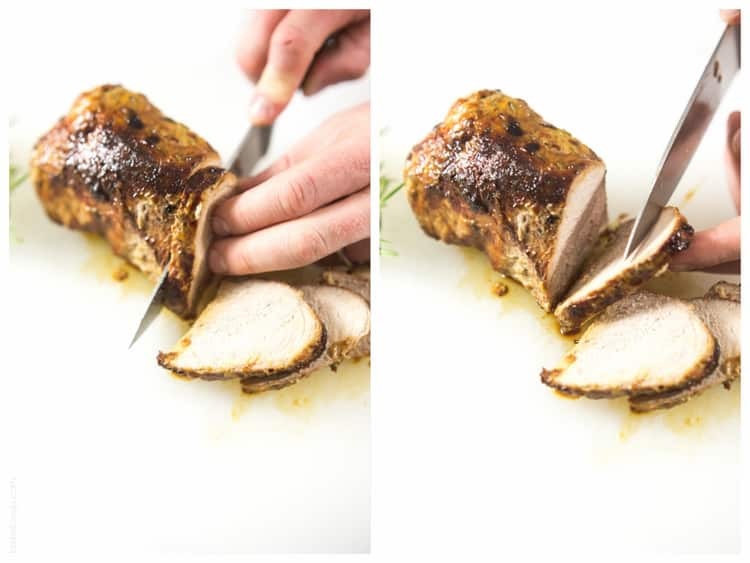 Love your stories :) I don’t know if people do this in California, but in Canada, people dress their cars up for Christmas with reindeer antlers…I think you sure have to be festive to do that ;) This pork tenderloin looks amazing! It looks so incredibly moist, I am such a wuss when it comes to pork and I always end up over-cooking it. I need a new thermometer! Wow, this tenderloin looks awesome! That sauce sounds divine. I have never seen a PT Cruiser with eyelashes, that is too funny! I have seen one around here that has been painted to look like a bumblebee, though! Oooh this pork tenderloin looks so awesome, Natalie!! I love it :) and that story about the eyelashes car is too funny!! I reeeeally don’t cook pork often enough. I always say I’m going to start, and I never do. I think I need to stock my freezer next time I make a Costco run so that I’m forced to use it. Because this looks delish! Haha! Decorated cars always get me. Thank you for reminding me that there are zero excuses why I haven’t made pork tenderloin yet! We tend to be heavy on the chicken/fish too. This one looks awesome, and that sauce! Mmmm. I love to cook Natalie, I have to say your recipes keep hitting home runs. I made this tonight with your Easy Oven Roasted Potatoes (using russets) and a side of green beans, it went over very well. I sent a plate home to mother-in-laws and her email response was “You should have been a chef”. If that doesn’t put a chip on your shoulder I don’t know what would? One thing I did do that you didn’t mention is peel the light membrane off the tenderloin as you would do with ribs. It’s difficult but pinching it with a paper towel works well. I was told by a butcher once that this membrane reduces the amount of flavour (sorry, Canadian spelling) that gets into the meat. I didn’t give my 10 year old son the sauce as he dislikes gravy but my 13 year old daughter loved every bit of this dinner. I have posted a copy of your video with subtitles. I hope this is ok with you. This recipe is quick and easy and I usually have all ingredients on hand and a tenderloin in the freezer. It was moist, tender and tasty, especially with the pan gravy. The gravy reduces quickly so watch it. I added a bit more wine to the pan and that worked fine. Also in my oven 15 minutes equaled a meat temp of 155, higher than I usually cook pork but it didn’t affect the flavor or tenderness. Next time I’ll check it after 12 minutes. I had Pinot on hand and used that, also used dry rosemary since I didn’t have fresh. With rosemary/olive oil quinoa and some cooked veggies it was a perfect dinner after I stayed home all day due to single digit temps! I’m so glad to hear you liked it Pat! Thank you so much for taking the time to let me know! Sounds like you had a delicious dinner. yea!